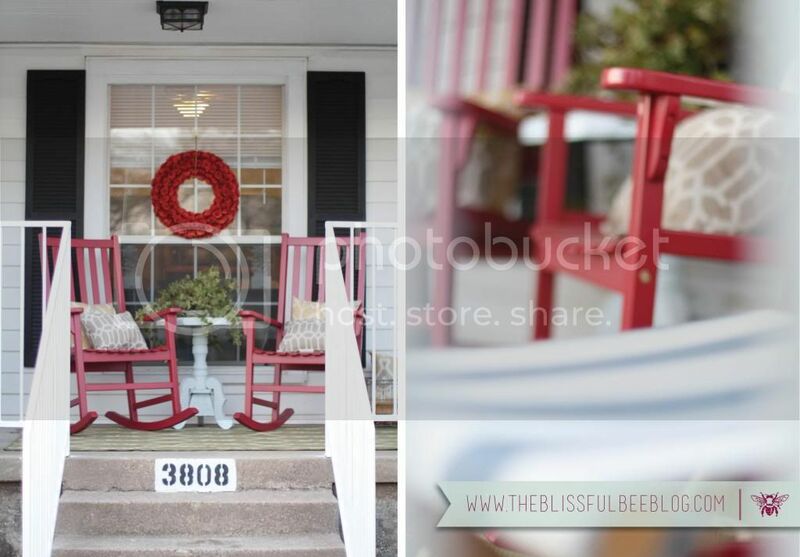 I am so excited to finally share my recent front porch makeover with you all! I have always dreamed of having a cozy little front porch, and the time has finally come. Since we are currently renting our house, I am unable to fix up the home exterior like I might with my own. So that means I needed to make the front porch really pop! 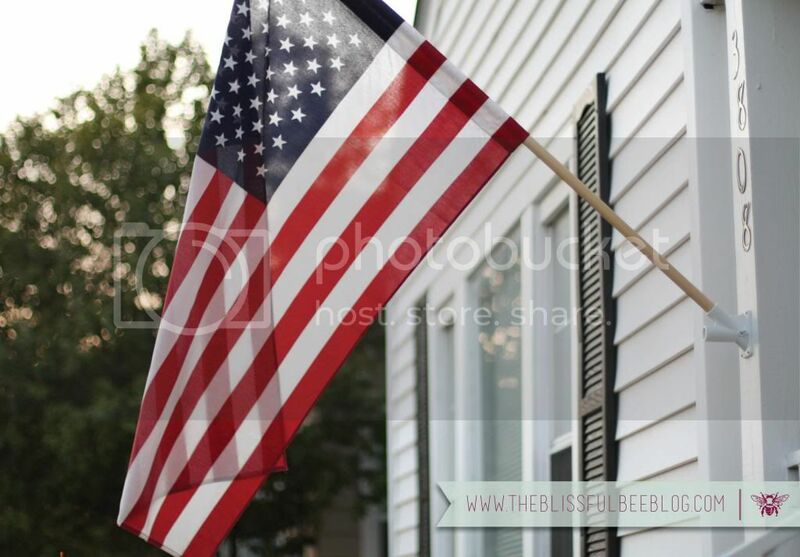 If you have a front porch, it is the first impression when people walk up to your home. 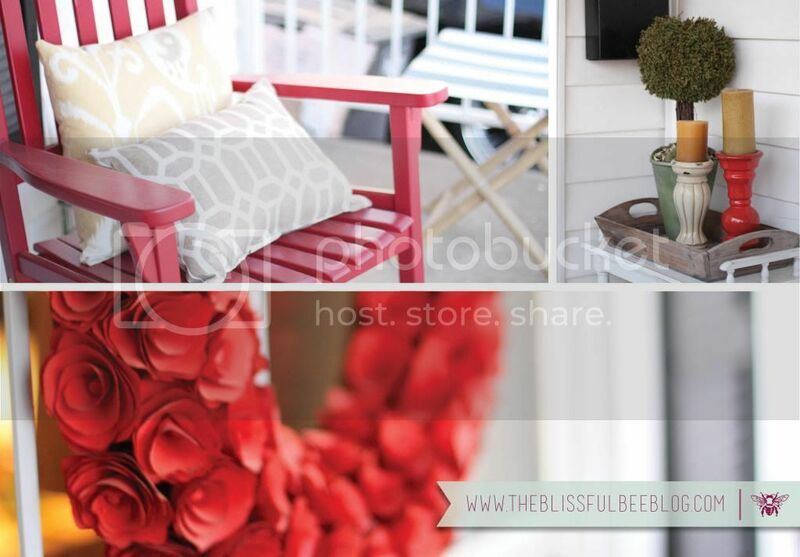 Don’t you want to make it just as inviting as the inside of your home? I know I do! And besides, its a great excuse to design an extra room;) Especially as Spring approaches – its such a peaceful space to sit outside and enjoy a beautiful sunset. And maybe a glass of wine too! And now for the fun part… Eye candy! I can’t wait to do mine, yours looks so cozy and relaxing! Love all the pillows! This is beautiful, Amy! I have bookmarked SO many of hour posts for future home inspiration. 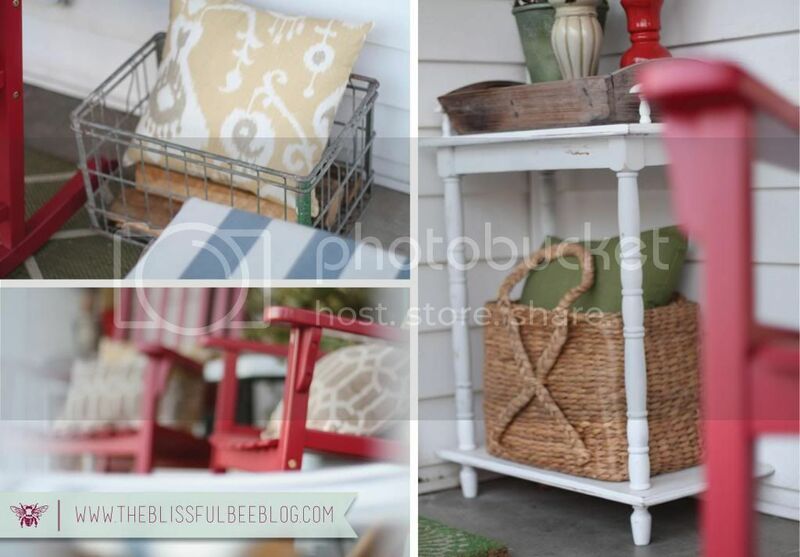 And now I’m adding a front porch to my must have list! Amy…I absolutely LOVE the RED!!!!!!! 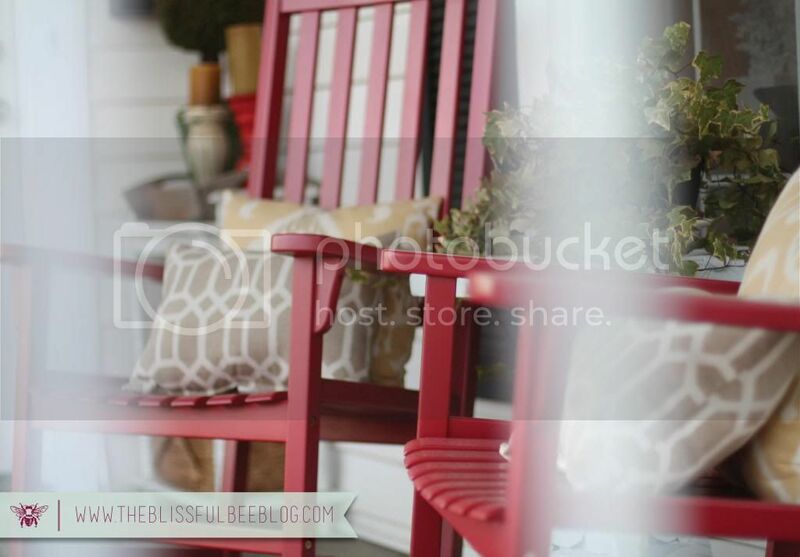 Love your front porch. I agree with you that is the first thing you really notice from the street is the front porch. Great job! It looks great! I wish we could accessorize our front areas where I live! I’m sure you’ll enjoy many a evening on that porch! Your porch looks so inviting. Very pretty goodies on it. Having a nice front porch where neighbors and friends can stop by to chat or have a cool/hot drink used to be the norm. Looks like you’re reviving that custom. 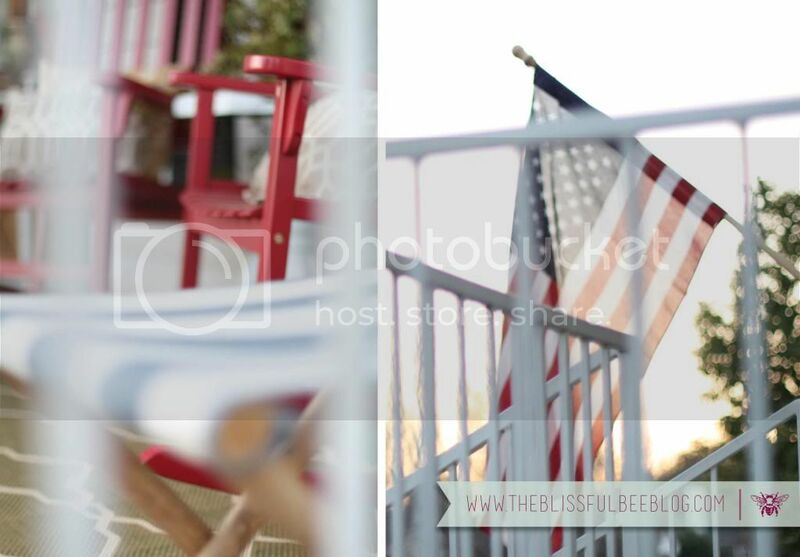 Lovely- looks very Fourth of July in Texas to me! 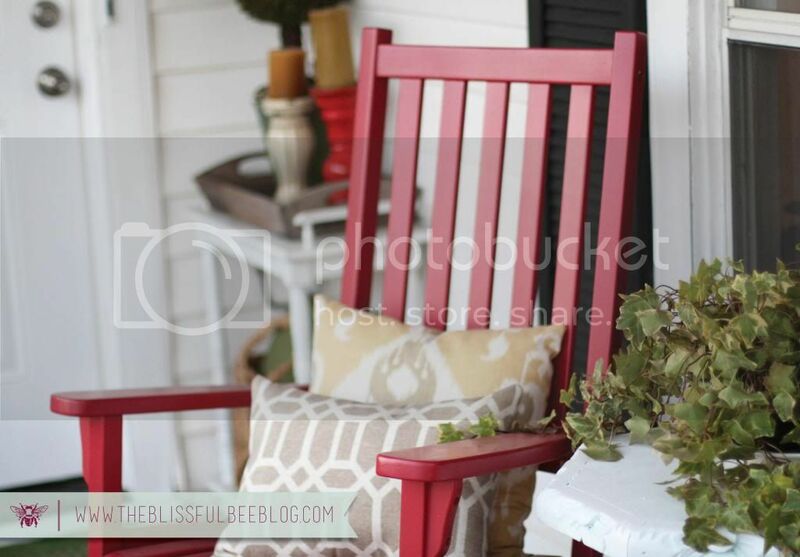 A large front porch is on our wish list! I love your front porch! So colorful and fun and come-on-over-and-have-a-cup-of-coffee welcoming! And your photos are amazing! Great job! 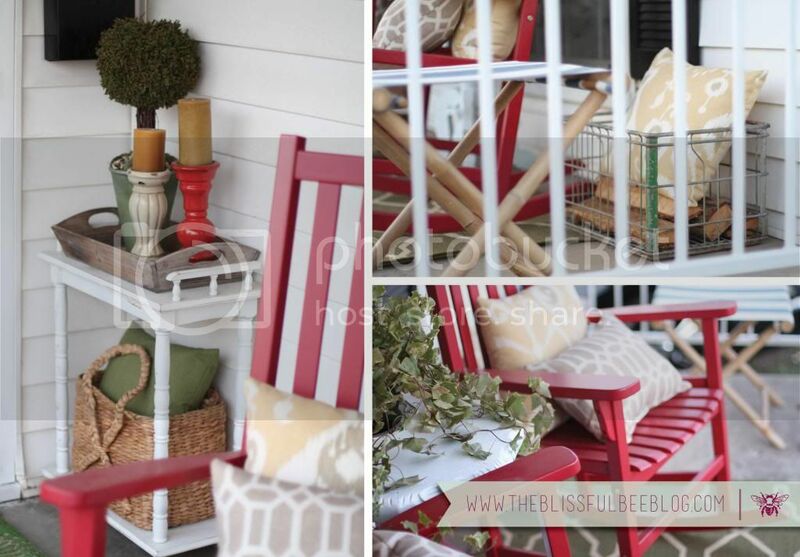 I love porches, and I love them with red! Beautiful. What a great job you did decorating. It is wonderful and inviting. I’m new to your blog and I just love it! Will be back soon for more visiting. Your front porch looks so pretty and inviting. If I walked up to knock on your door, I’d probably have to rock a bit in those lovely rocking chairs. 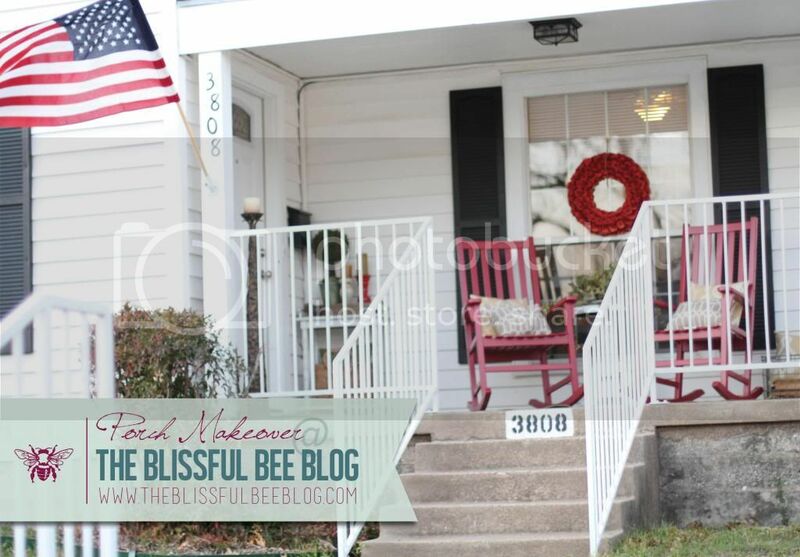 Your front porch looks so friendly and inviting! Love the bright colors you used. Wow! It’s beautiful;) I love the red too! Pinning!! I LOVE your porch…so cute! 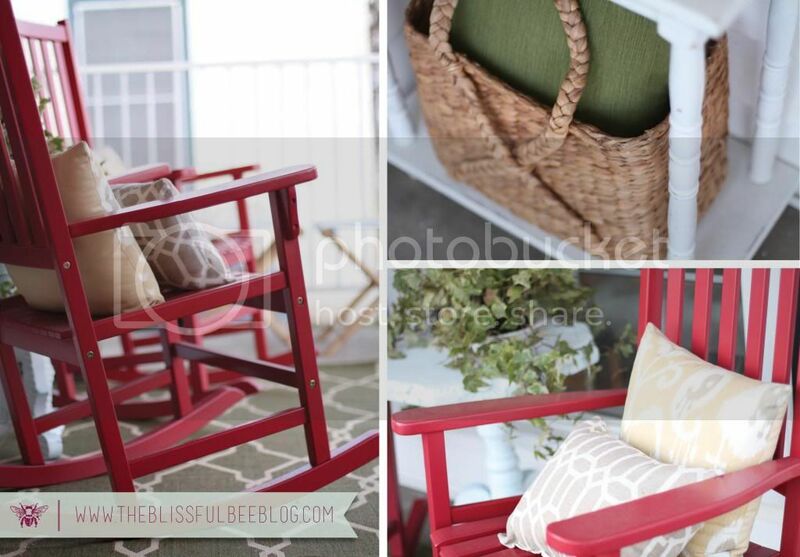 I have a black rocker on our porch…but, the rest of our porch needs a little dolling up! I’m visiting from Wildly Original. I hope you can stop by my blog and leave a comment, too. Visiting from all things with a purpose, and saw your link and had to stop by to take a look. Glad I did so lovely. I’m working on my kitchen adding yellow and blue, might try you diy chevron curtains. Did you buy or make the pillows, where did you find the fabric or pillows???? The red pops of color are just the right amount. Love the wreath! So pretty! 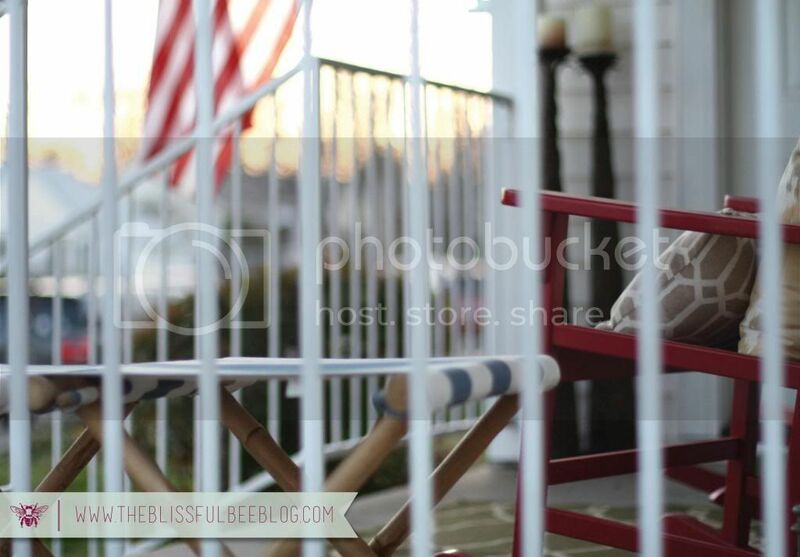 And I can’t wait to sit on my porch again, when it’s not covered in snow!